Last week at about 6:15 p.m., when the air was still very muggy with the temperature in the high 80’s, a group of diners (and Westport residents) at Sherwood Diner became aware of a large SUV in the parking lot with a small dog inside — and New York plates. The windows were completely shut. It was determined that the car had been there at least 45 minutes. A call was made to Westport Police, as Westport’s animal control officer was off duty. The dog owner was ticketed, and warned about leaving her dog in a hot car. WASA would like to thank Officer Won and his fellow Westport officer for coming to this dog’s rescue, and handling the situation so beautifully. Tails are wagging all over Westport in appreciation. Our thanks too to the Westport residents who were advocates for the little dog. Yes, Officer Won, this is Westport. And we do love our dogs! 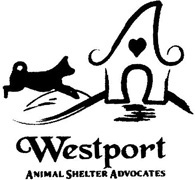 This entry was posted in Environment, Organizations, Police, Restaurants and tagged Westport Animal Shelter Advocates, Westport Police Department, Wong Won. Bookmark the permalink. Perhaps the individuals involved would feel differently if they had to sit in the car with the windows closed. My Dad always said to judge people on how they treat their animals. My view is the same and thank goodness so many Westporters agree. People tend to be stupid. I live in Florida during the winter and people leave their dogs in locked cars quite often. Animal control and the sherif’ department are quite busy. “In Florida you can beat your wife and the penalties for that are a lot less severe than those for leaving a dog in a hot car. A judge can easily send you to prison for animal dog abuse but that rarely happens for a guy who hits his wife.” This is a direct quote from a police officer in Vero Beach, FL who responded to a call about a dog in a car in a store parking lot on a sunny day. Exactly. Sit in your car on a sunny warm day, with windows shut (no pre-cooled ac on either), even for a full two minutes. Then five, then ten … and then see if you can make it until 20 minutes. No swigs of water, no cheating. Now, expect your pet to do the same, in fur, and a higher body temperature to begin with (well, that’s the case with cats – not certain about a dogs resting body temp), and no sweat glands. Cruel and stupid beyond belief. I am always on the alert for dogs in locked cars. When we have pets we should be their advocates as they depend on us for their survival. People are really stupid in hot weather to think they can do an errand & lock the dog in the car because it’s only “for a few minutes” – those so-called minutes can be a death sentence. Glad this dog owner was ticketed & dog was saved. The owner should have thanked everyone & apologized for being so thoughtless. I live in Tucson, and people think our winters are cool enough to leave pets and/or children in their cars. Our winters are in the 60’s and 70’s, but there is intense sun and the inside of a car can easily reach 100 degrees. If this had been a child, CPS would have been on this woman like flies on you-know-what. I wish pet owners could face harsher penalties for neglecting or abusing their dogs. This woman’s reaction was so ignorant and selfish, she shouldn’t be allowed to have a dog. Thank you to the officers who rescued the little dog. Interesting fact: Heat rising from the exhaust system under car is usually a bigger problem than heat from the sun in cases where animals are left in automobiles. So animals can be suffering in locked cars even on overcast days. One more reason to buy a Tesla. No hot exhaust and you can leave the AC running off battery even when not in car. Good points, Ralph and Jerry! It seems typically Westport for someone to call the cops, rather than ask the other diners directly. After all, why embarass someone into doing the right thing when you be theatrical and ruin their day at the same time. While I agree that leaving the dog in a hot car is cruel, Westporters look to make a scene instead of intervening directly. …and you can leave lots of electronic ignition (non-key) cars running without the keys. Tesla doesn’t have a corner on that market.